Tom Noel has more than 20 years of experience in the event and design industry. 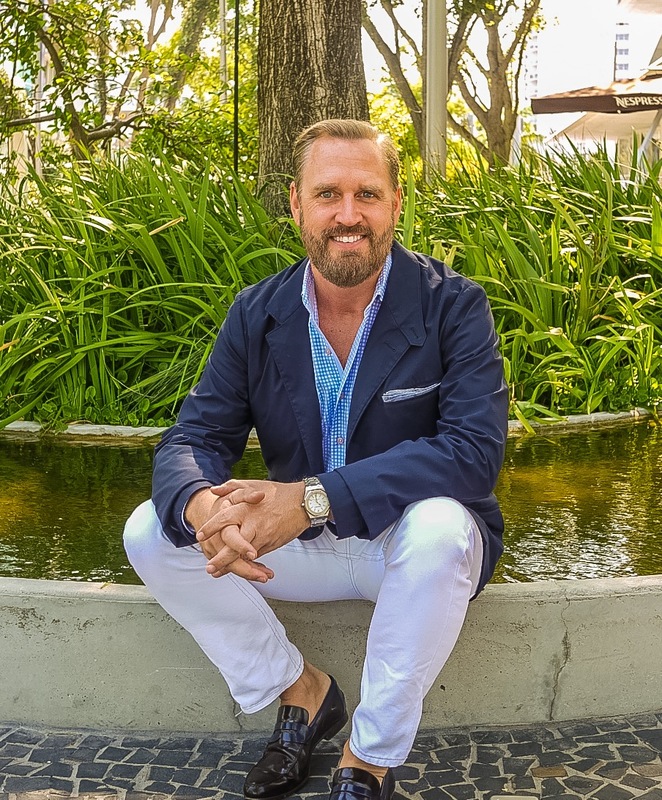 Recognized as one of the Top Event Designers in the World, Tom Noel’s is known for his amazing sense of style, originality and flawless execution. He has worked with world-renowned brands and played an integral role in the creation of a variety of events. These occasions include John F Kennedy Jr. and Carolyn Bessette’s wedding, Prince Pavlos’ birthday celebration, US open, the UBS Cup, the Lauder Wedding, Sarah Jessica Parker and Matthew Broderick’s Wedding, the Costume Institute Ball, Vogue events and private events for top designers such as Mr. Armani & Mr. Valentino. Tom Noel had a monumental career as a private event designer. Raised by one of America’s top interior designers, Tom Noel began working in the family business at an early age. He spent time learning about color, texture, light and space. This was just the beginning of his love for design and the way it could benefit the lives of others. After many years in the interior design industry, Tom Noel was presented with the opportunity of a lifetime. A family friend, Robert Isabell of Robert Isabell Incorporated, offered him a job overseeing the production of the Miller/Von Furstenburg nuptials in New York. Tom Noel instantly realized how his years of experience in the interior design industry would apply in the ever-growing and exciting world of event design. After memorable years working with Robert Isabell, Tom Noel was introduced by a mutual friend to Philip Baloun of Philip Baloun Designs. Tom Noel and Philip Baloun forged both a friendship and an undeniably successful business relationship. They worked as an unstoppable design team and produced such grandiose and dramatic events like the White Wedding, Taubman Wedding, Soros’ Millennium Party, and American Express’ 150th Anniversary at Madison Square Garden. Tom Noel created Event Design Incorporated. His vision was to create a company composed of a team of associates – all top in their fields, who together would encompass all aspects of the event design and production industry. Since his launch, Tom Noel has worked extensively throughout the world. Such locations include the Palace of Versailles, Cannes Film Festival, King Henry VIII Hampton Court Palace, and Princess Diana’s Kensington Court Palace in England. He has also created breathtaking events in Monaco, in addition to many other grand hotels and estates throughout Europe. Tom Noel began to look for different avenues to access a wider audience. One day, during a walk in Central Park, Tom Noel had a revelation: “Why not utilize the most beautiful spaces available and accessible to all?” By starting with a gorgeous location, than enhancing it with a well-designed, coordinated plan appropriate for the Happng, designed to scale, and offered online, Tom Noel could create spectacular Happngs at prices many more could afford and offer significant elevated results when compared to the alternatives. Since then, Tom Noel has turned this concept into reality through Happngs.com. Tom Noel launched Happngs which is redefining the event process for today’s consumers. All done online by pairing locations, services and management through a booking engine, project management system, and marketplace. Happng types range from weddings and proposals, to children’s parties and corporate outings, in some of America’s most spectacular location. Happngs is the most comprehensive special event-planning production website in the world! Happngs’ distinctive brand and unique product guarantees to meet and exceed expectations that are a backdrop for a memory to last a lifetime. Tom Noel launched TomNoel.Events as a design studio, to elevate the industry standards, catering to a exclusive clientele worldwide. Tom Noel offers a combination of his sought after event design talents paired with his cutting edge event technology through a “couture like” process delivering a truly unique event planning experience for a select few. Tom Noel‘s mindsight is based on “Simple Happngs” in iconic locations, beautiful designed, professionally planned/produced, Tom Noel guarantees to meet and exceed expectations that are a backdrop for a memory to last a lifetime. Chosen by several publications and industry associations as one of the Top 10 Event Designers and honored with many style and design awards, Tom Noel has worked with the giants of the financial world, the social elites, to the Hollywood stars of the film industry, with an exclusive list of clients is a profound of the who’s who in the world today. No matter where, Tom Noel has transformed venues and placed himself at the forefront of the event design world. Whether the event is for 2 or 20,000, from Parks to Palaces, Tom Noel looks forward to helping people’s dreams turn into reality.